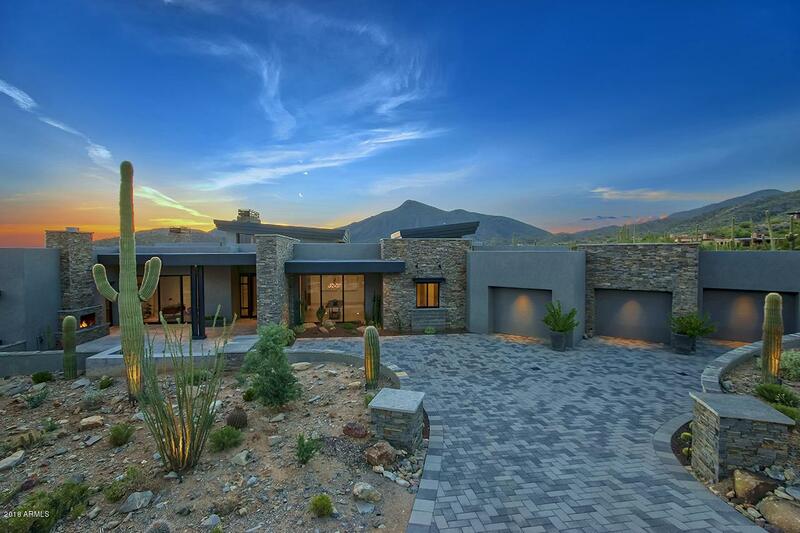 Impeccable brand new modern build located in the prestigious Saguaro Forest community of Desert Mountain. 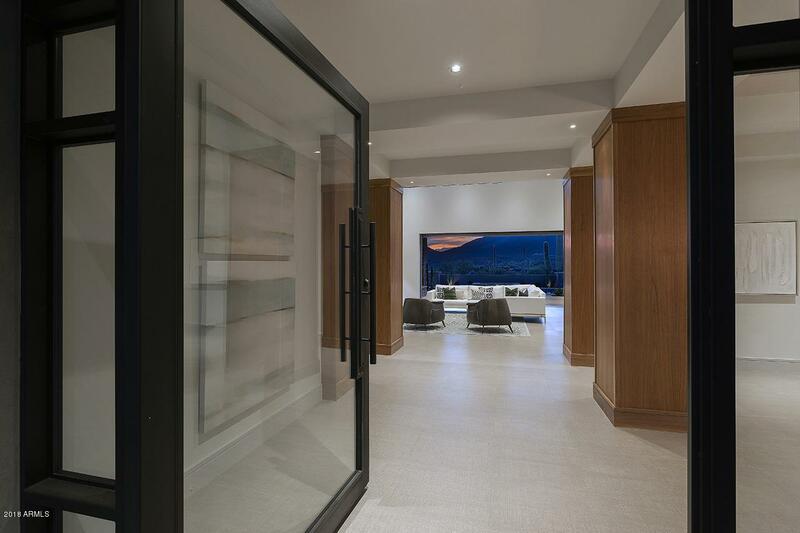 From the moment you pull up to this captivating home, you will immediately notice a perfect palette of stone, metal, glass and wood, which compliments the highest quality materials incorporated in this exclusive build. Attention to detail is key for one to truly appreciate the flow of this 6000 sq ft 4 bed 5 bath home. 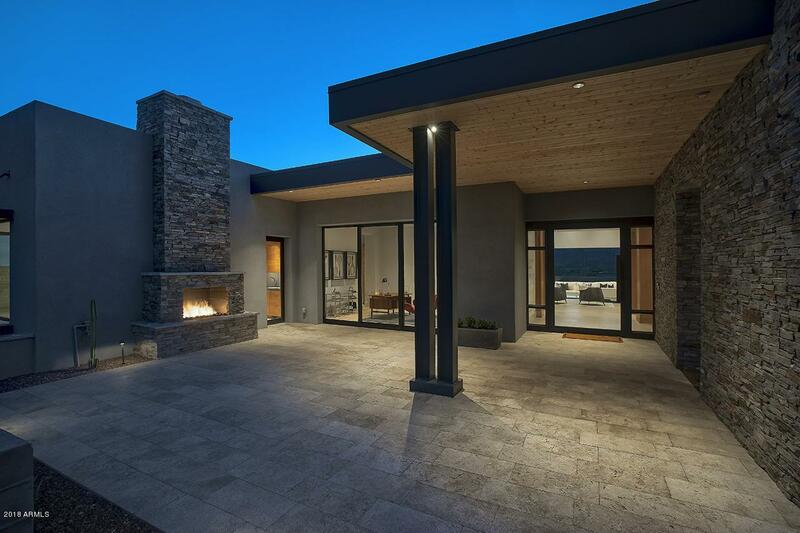 The inviting entry welcomes you with a courtyard fireplace, tongue and groove patio ceiling, and large iron and glass pivoting front door, which all set the tone for the state of the art modern architectural designs. Upon entering, the foyer features, walnut wood wrapped columns and a temperature controlled wine rack. See video production and 3D walkthrough. Listing courtesy of Aeris House Properties, Llc.